As time goes by, we collect more and more stuff. And we become really attached to a lot of that stuff. One of the most common requests when we're developing a remodeling project is: "Can you give me more storage?" 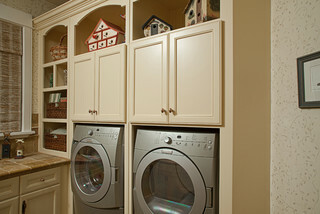 When remodeling a laundry room, there are many different ways to make the space more storage-friendly. Of course we can build additional shelves and cabinets, but if you happen to opt for front-loading machines, we can also build counter space over the top of the washer and dryer. The big trend we often see is one in which the client chooses to make the laundry room bigger, letting it pull double duty as a mud room, a pet washing center, or as extra storage space. 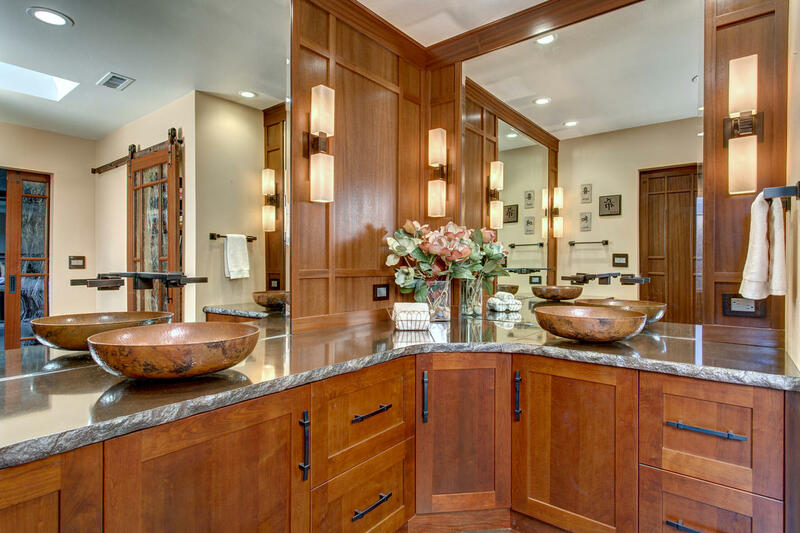 One of our favorite kitchen and bath designers to work with, Provanti Designs, Inc., offers great ideas on Houzz for creating the perfect laundry space. Because it tends to be too wet in our area to always hang laundry outside to dry, don't forget to think about adding space to hang-dry clothes that you can't put through the dryer. People are never happier at the end of a remodel than they are when they get their new closets. We love this design from Organized Spaces (one of our favorite closet designers and professional organizers to work with). Whether we create an expanded reach-in closet or a full walk-in closet with its own dressing room, smart use of space is key. Designing a closet usually depends on what needs to be stored in the closet. People who collect purses or ties may prefer practical hanging spaces and hooks, while shoe aficionados will want more shelves. It's the little things that make all the difference, though, with a closet remodel. One area we like to emphasize is lighting. Brightly lit closet spaces make it easier to organize and choose outfits. Another must in the Pacific Northwest is ventilation, to keep clothes from smelling like mildew. 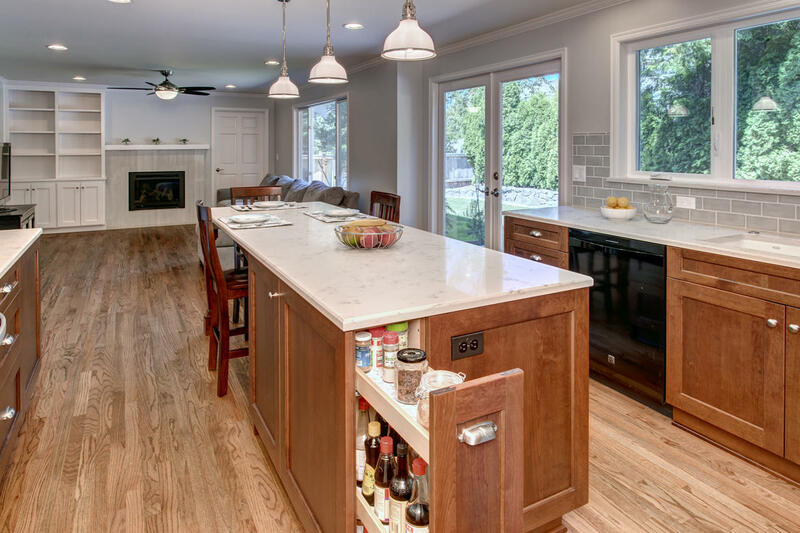 Remodeling kitchens may primarily be all about new appliances and updating the look from whatever was popular in the 70s or 80s when the home was built, but it's also about storage. From smart cabinet spaces to full pantries, kitchen storage is crucial in any remodel. Don't limit yourself to thinking everything has to be standard cabinets, either. Custom cabinets - tall, skinny, specifically for your cappuccino maker, or recessed wall storage - can all make a difference in keeping kitchen clutter to a minimum and letting you have the space you need to get your gourmet on. We build custom storage into this Klahanie family home makeover. Why every shower wasn't just built from the start with shelves and hooks and benches, I'll never know, but it's one of the first things we look at when we are doing a bathroom remodeling project. The more convenience we can build in to your shower space, the more enjoyable it will be. And while some people love having a jetted soaker tub, we often can give you a lot of extra storage space by pulling the tub altogether and replacing it with a walk-in shower and extra cabinetry, like we did with this bathroom in Bellevue. No matter what you're trying to accomplish with your home remodeling project, one of the factors you should consider in every room is storage. The more practical storage we can build into your project, the less cluttered your home will feel. Learn more about our process for helping you complete your project. Contact us. We'd like to hear what you're thinking.